Taj Green Cove Resort is beautifully snuggled on the Kovalam beach of Kerala amidst a 10 acres of green landscape. The resort offers a stunning view of the backwaters, palms fringes and virgin beaches. The resort offers a perfect escape from the madding crowd of the city. Address : G.V. Raja Vattapara Road, Kovalam, Trivandrum, Kerala, India. 14 kms. from Railway Station. 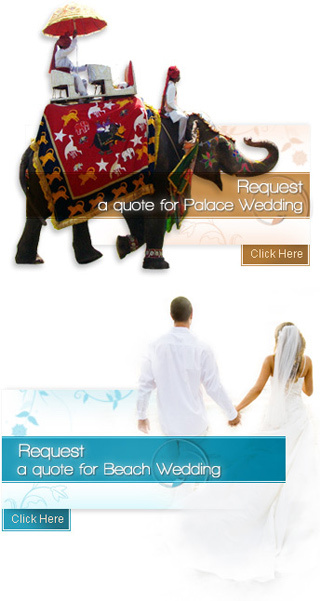 The resort is an ideal venue for couples to tie the nuptial knots. The banquet and lawn of the hotel is prefect for your big day celebrations. The Banquet Coconut Bay of the resort with an accommodation capacity of 150 persons in theatre(sitting), 72 persons in classroom(sitting), 56 persons in U-Shape(sitting) and 200 persons in cocktail (standing) is good for a medium size wedding. The resorts lawn Cabana with an accommodation capacity of 250 persons in theatre , 85 -90 persons in classroom , 56 persons in U-Shape and 200 persons in cocktail standing is also an amazing venue. The resort offers 20 well ventilated and elegantly furnished rooms snuggled amidst coconut palms overlooking emerald back waters, silver beaches and azure waters of the sea. All the rooms are equipped with all the modern amenities and services. Taj Green Cove, Kovalam features some upscale restaurants and bars to meet dinning need of the guests. Curries (authentic Indian specialty restaurant), Neera (a trendy bar) and Coffee Shop (multi-cuisine restaurant) are known for their culinary excellence. Meeting Amenities, Conference Room, Colour Copier, Internet Access, Laptop Computers on Hire, Secretarial Services, Translation/Interpretation Services, Wireless Internet Access, Swimming Pool, Fitness Centre, Souvenir Shop, Outdoor Hot and Cold Splash with Jacuzzi, Water Sports, Jiva Spa, Backwater Cruise, Village Tour, Coffee Shop, Babysitting, Beauty Parlour/Hair Salon, Car Hire Service, Currency Exchange, Doctor-on-call, Express Laundry/Dry Cleaning, Florist, Shops, Travel Assistance.